Chelsea Market has some great food nestled in between the tourists, ladies with strollers and rich hipsters. 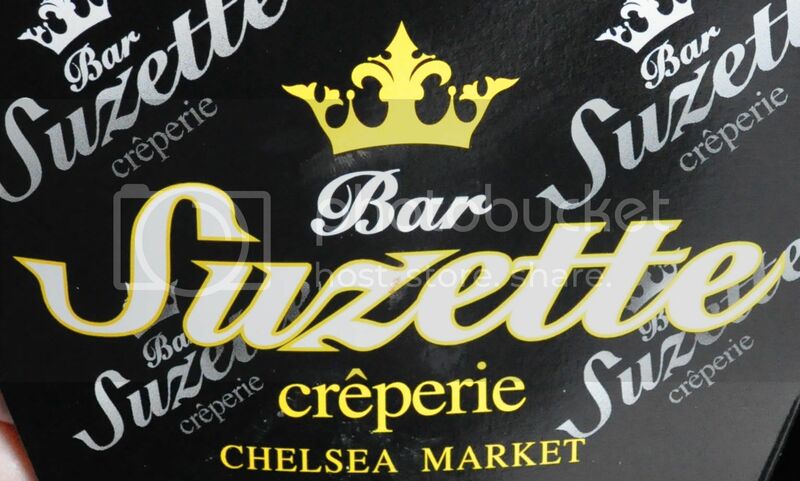 One of those fine food establishments is Bar Suzette, where they're preparing crepes with some samurai flare. I mean, all of the crepes are still the usual stuff like nutella, butter, sugar and fruits, but most of Bar Suzettes signage seems to be Japanese themed like the giant traditional rising sun art under the front counter. 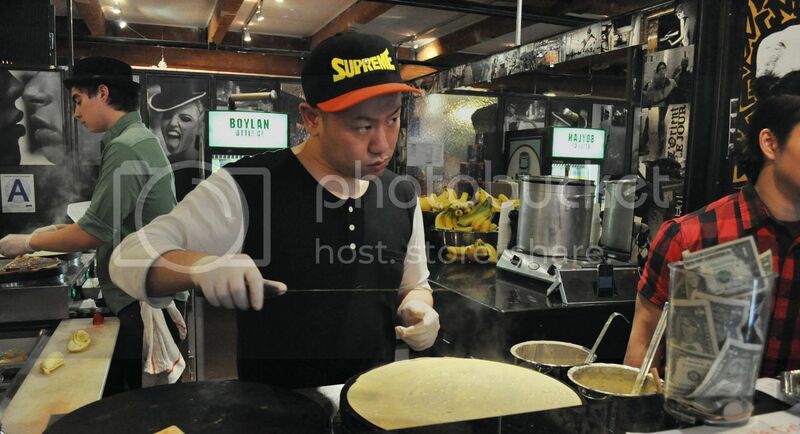 I can't seem to understand, but it doesn't much matter because their crepes are gooood! For $6 we got a giant nutella and banana crepe and it was enough for two of us to enjoy. 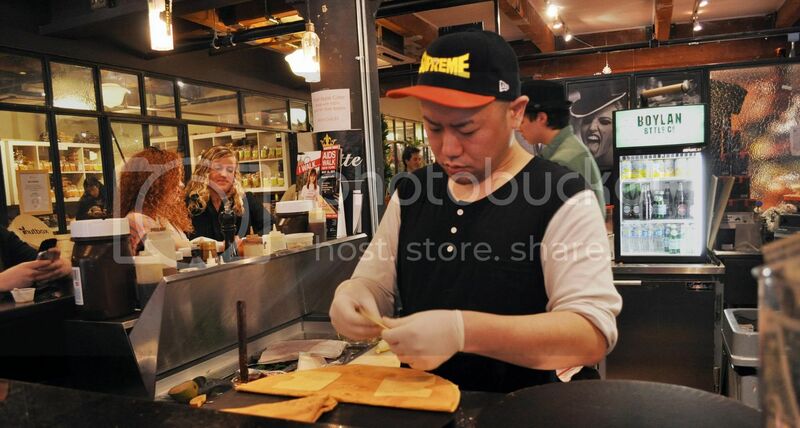 Also, the chef seems to be a hypebeast (check the Supreme hat), so they get plus points for the cool-factor. More photos by clicking on the link below. Definitely worth stopping by if you're in the area. The High Line is just a block or two away also, so if it's a nice day you can enjoy your crepe outdoors.